﻿Look out for us on Aeries! 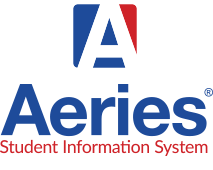 We will be putting your child's grades on Aeries Student Portal so please make sure to check in with their printed schedule for the verification code needed to enter the parent portal! Please click the link below to enter Aeries. Need directions?